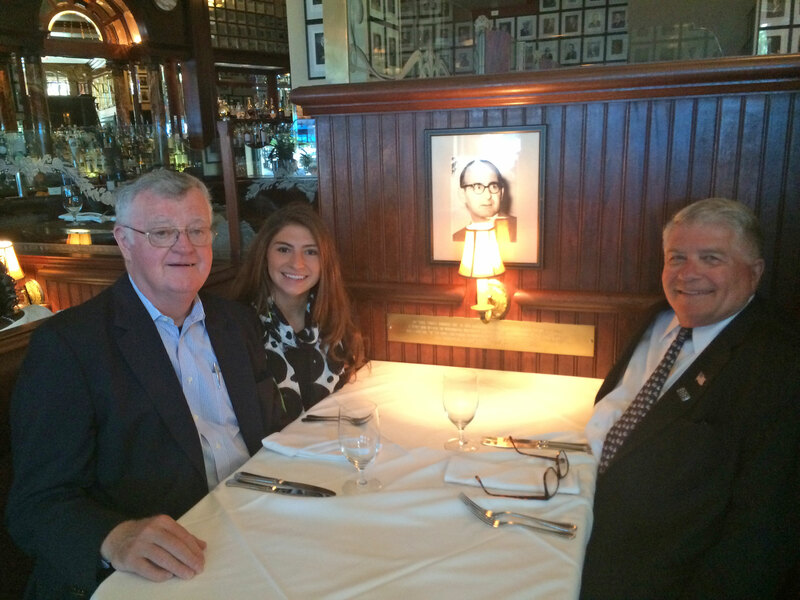 Photo of yours truly on the left, Gabriella Barbuto and her Dad, Robert on the right, sitting in a booth at the Occidental Restaurant in the Willard Hotel. 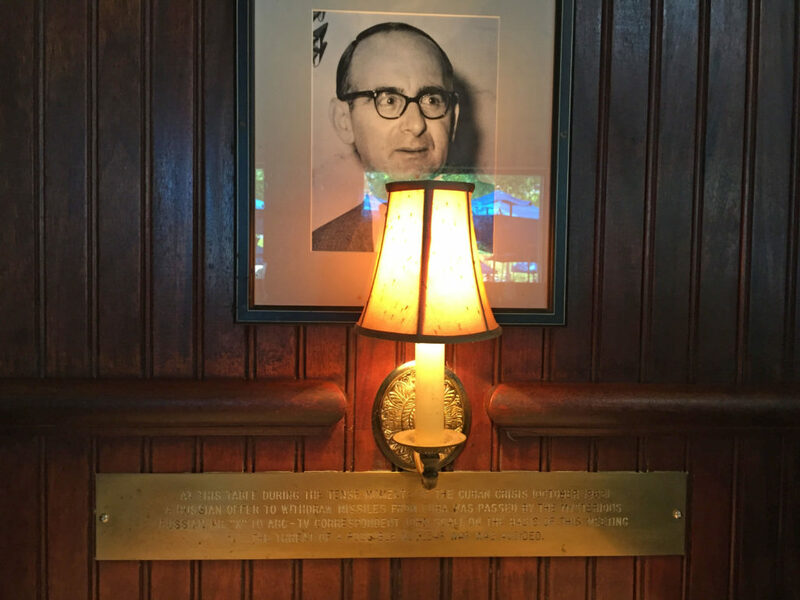 This is where Alexander Fomin, the KGB Rezident in Washington, met secretly with ABC journalist John Scali (photo in foreground) at 1:00 pm on October 26, 1962 to begin diffusing the Cuban Missile Crisis. Both Robert and Gabriella were students in my History of FBI Counterintelligence at George Washington University.